← In Movement – 24 hour zine out now! 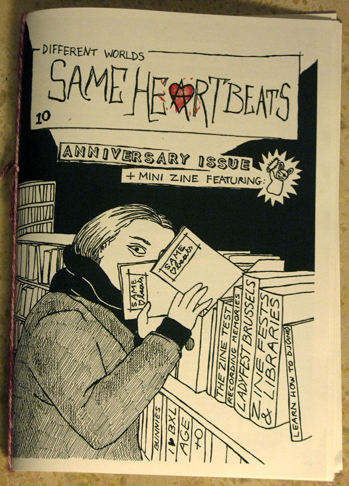 Happy to announce… the 10th issue of Same Heartbeats! I’ve been making his DIY feminist personal-political zine for about a decade, releasing an issue almost yearly, and it continues to document the local and less local DIY feminist scene, things that are on my mind, and much more. 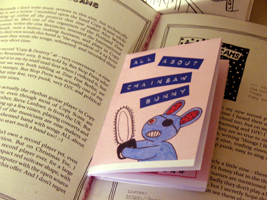 Same Heartbeats #10 features plenty of articles and artwork, is decorated with a self-made heart-shaped lino stamp print on the cover and it includes an extra full-colour mini-zine all about Chainsaw Bunny! Buy all this for only 2 euros + shipping! 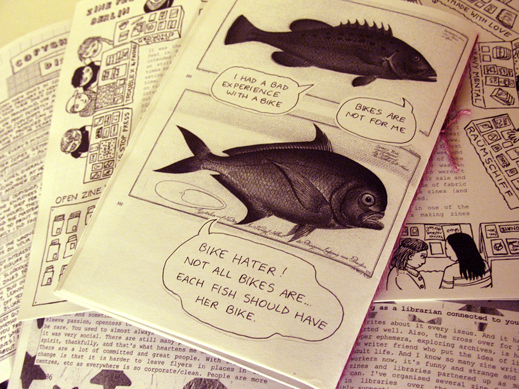 Mail me at flapper_grrrl@yahoo.co.uk to order the zine! This entry was posted in News, Publication, Zine and tagged anniversary, celebrate, chainsaw bunny, echo, same heartbeats, zine. Bookmark the permalink.